Hamilton Storage has introduced a new member of the LabElite product family with the launch of the LabElite DeCapper SL. The new product rapidly decaps sample containers to increase sample throughput and improve overall laboratory efficiencies without risks of manually-derived errors and contamination. 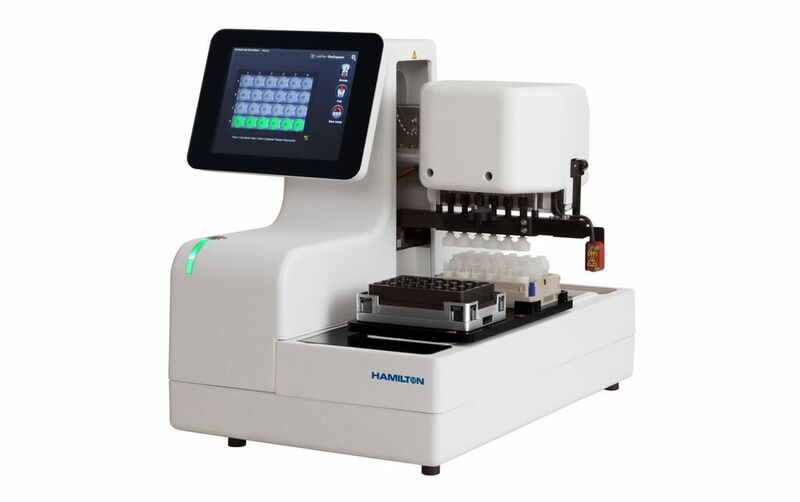 This compact model is approximately 20% smaller than the LabElite DeCapper, and is easily integrated into hands-free, automated workflows using liquid handling platforms from Hamilton Robotics as well as third-party robotic providers. Additionally, the LabElite DeCapper SL is an ideal space-saving, standalone solution for laboratories who prefer walk-up benchtop sample decapping. The system is compatible with labware in 96-, 48-, and 24-format tube racks, with internal or external threads, such as microtubes, cryovials, and specialty tubes, from all major labware manufacturers. It is especially suited as a compact and time-saving solution for biobanking, forensic, genomic, compound management and drug discovery workflows.